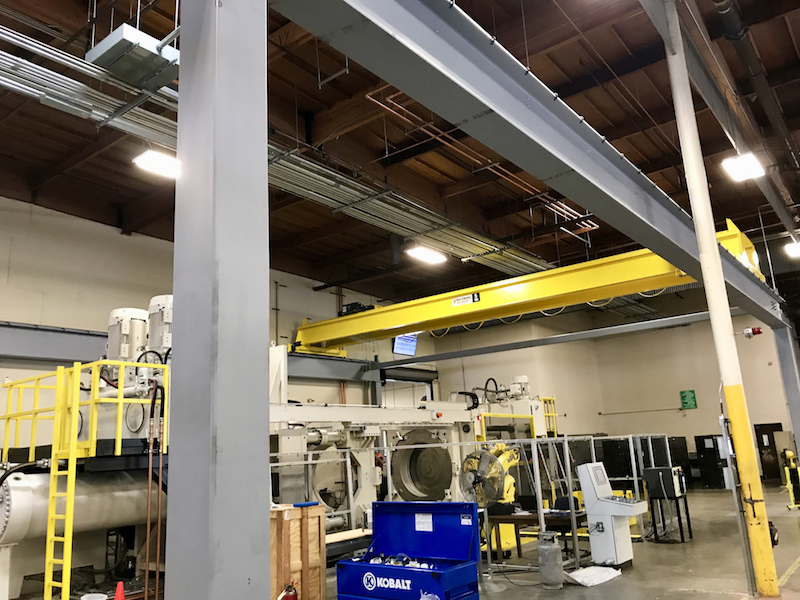 Ace Crane just competed a 5 Ton Freestanding Crane Structure for a Southern California based manufacturer. The project required a clear span between runway supports of 55'-0" and a quick delivery. Installation within 8 weeks after receipt of order.